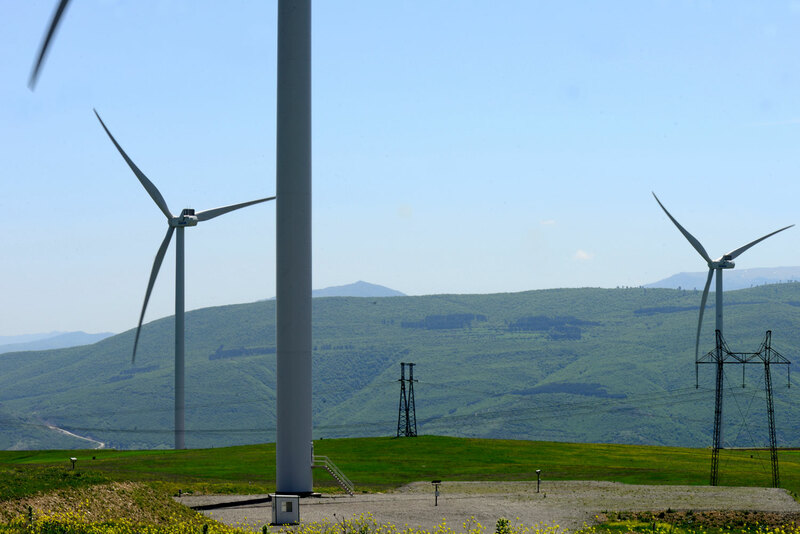 In Gori, around 90 km from Tbilisi, six wind turbines have been steadily generating power for the past two years. Qartli Wind Farm is the first wind farm built in Georgia and the first commercial wind power plant built in the South Caucasus. It was made possible with the support of the European Bank of Reconstruction and Development, along with the European Union and other international donors investing via the Green for Growth Fund. Interest in the project has been huge, particularly in terms of whether it would meet its expectations and targets. So far, Qartli Wind Farm has not disappointed. Last year, the wind farm generated around 88 million kilowatt hours (kWh) of power and actually exceeded its forecast by 3.8 million kWh. Based on the annual energy requirements of an average family, the extra power it generated helped cover the energy needs of between 20,000 and 25,000 families. The project itself was implemented by Qartli Wind Farm Ltd. As part of an agreement with the State, the company is required to sell all power generated over a 10-year period to the State. 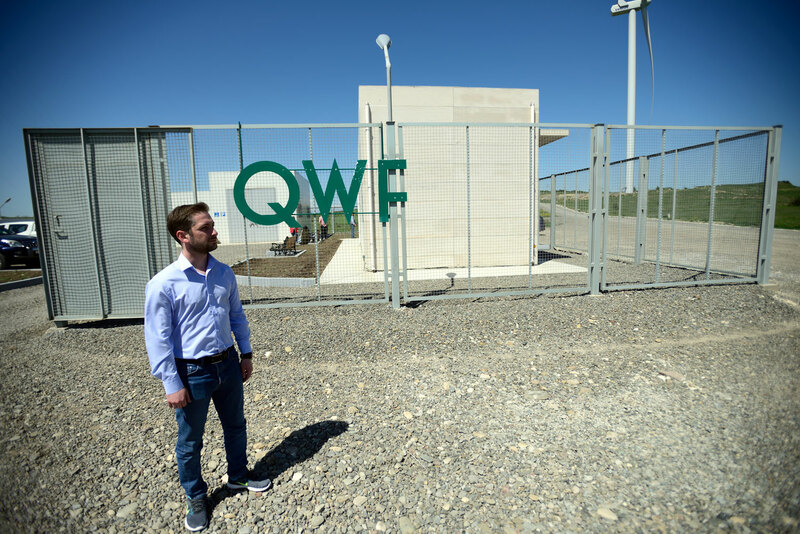 Tornike Kazarashvili, Head of the Qartli Wind Farm Board of Directors, says that last year the company’s income from selling power was more than €4.7 million. As he mentions, the total cost of setting up the power plant was €26.4 million and the payback period will last around eight years. The idea to implement this renewable energy project in Georgia was born in 2013. The first step was to find a suitable location for the construction of this type of plant. The JSC Georgian Energy Development Fund purchased a satellite programme demonstrating the types, speed and direction of winds in various places. “We had seen territories in Qartli, Imereti, Samtsxkhe-Javakheti, etc. This information had been collected, then we started field work, examination of these territories. One question is whether a specific place may be good in terms of wind characteristics, but another question is what is the type of landscape there; the territory might be mountainous, or the wind could be very strong at 2,000–3,000 m/h, but physically and considering climate conditions, the place could be inaccessible and impossible for exploratory or construction works,” Kazarashvili explains. Gori was selected following the field work, and Kazarashvili says the decision was made on the basis of a combination of many positive factors, in particular its proximity to the main road, the location of Gori substation just 8 km away, and the lack of greenery on the land, which would have needed to be destroyed. Then, a meteorological mast was installed and measurement of the wind parameters – direction, speed, temperature, humidity – started, as the selection of turbine types was dependent on all these factors. Kazarashvili says that the location was also advantageous in terms of environmental protection. The noise caused by the turbines is within the permitted norms and the closest populated area is located 2 km away from the plant. As for birds, their migration route passes through the Mtkvari Gorge, 15 km away, and is not affected by the wind farm. 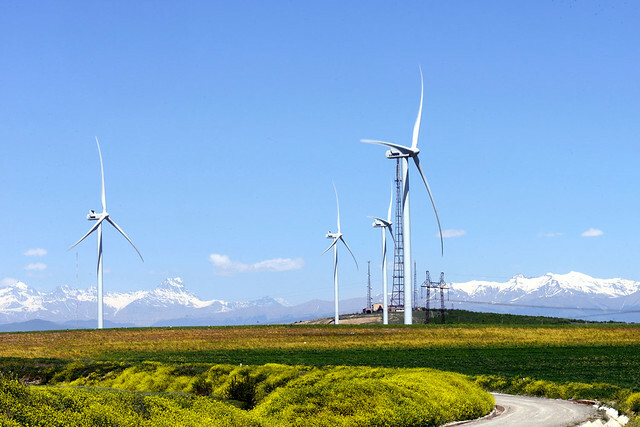 Various European companies consulted the company during its work on Qartli Wind Farm. The resources were evaluated and the most optimal positions in which to install the turbines were chosen. Planning then began to connect the plant to the transmission network. At the same time, the company held negotiations for investments with the European Bank for Reconstruction and Development (EBRD), to which the European Union is a major contributor, and tenders for the procurement of the turbines and construction works were announced by the EBRD. Finally, the turbines were provided by the Danish company VESTAS BENELUX, a leading manufacturer of wind turbines. A loan agreement with the EBRD was reached in January 2016 and the construction works began in March. “We installed the last turbine in September; actually, in six months we created the power plant from scratch,” Kazarashvili says. Notably, 70% of the project costs were funded by the EBRD. 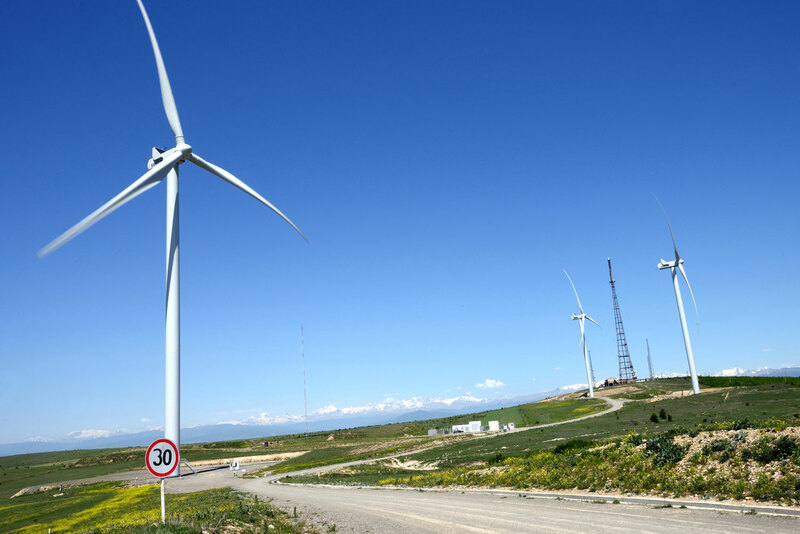 According to the EBRD, it arranged a €18.3 million syndicated loan to the company for the development, construction and operation of the wind farm. The EBRD itself provided an €8.3 million tranche, and the remaining €10 million was contributed by multiple donors, including the Green for Growth Fund (GGF). The GGF is a specialised fund, supported by the European Union, which advances energy efficiency and renewable energy in the EU’s neighbouring countries, including Georgia. About 35 people are currently employed by the company. The dispatchers and security staff are local. The power plant will be operated by the company Vestas Georgia for its first 10 years. 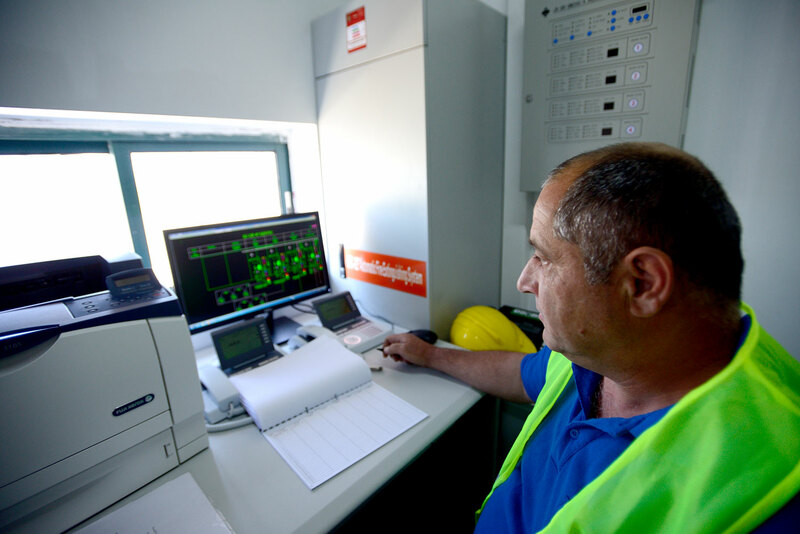 David Jimukhadze works at Qartli Wind Farm as a dispatcher. He is an electrician by trade. His work schedule involves 24-hour shifts, once every three days. He says it’s a big responsibility ensuring smooth operation of the system. “This is a really good project, efforts should be made to do more and more,” says Jimukhadze. He says that being employed by the company has positively affected his family finances too. “You have the sense of stability, when the next month you do not have to worry about where to go or what to do; this is not a seasonal job, and this is fine,” Jimukhadze says. According to the Georgian Energy Development Fund, the construction of three more power plants is planned in Georgia, in Zestaponi, Sachkhere and the village of Nigoza in Shida Kartli. As Kazarashvili says, connecting to the network was the biggest problem with the Gori power plant project, and this problem still exists for other power plants. 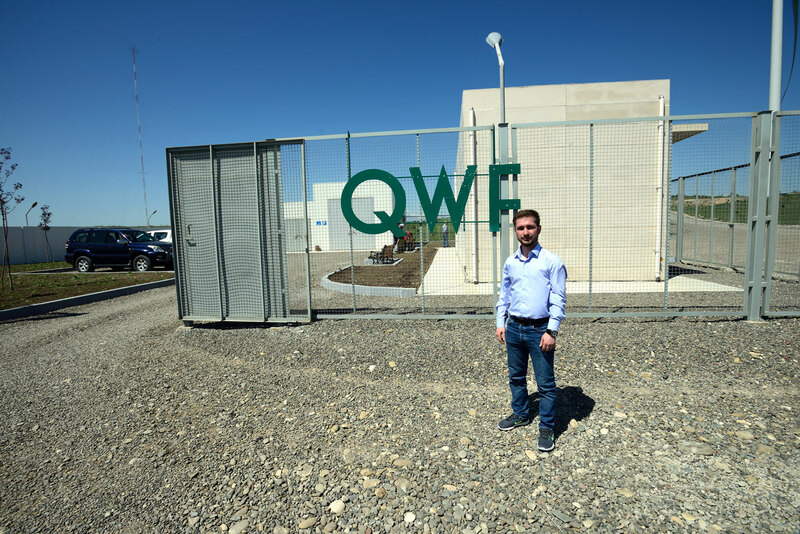 David Jimukhadze, a dispatcher at Qartli wind farm in Gori, Georgia. Qartli wind farm in Gori, Georgia. In order to harmonise Georgian legislation with EU energy legislation and standards, in the framework of the EU4Energy technical assistance programme, a list of activities necessary for the fulfilment of obligations is being developed through consultations with European experts. This will include a package of legal changes, as well as recommendations, experience and information for the development of skills. EU4Energy aims to improve the quality of energy data and statistics, develop regional policy, enforce legal and regulatory frameworks, and more. EU Sustainable Energy Week will be held on 4-8 June this year and will be dedicated to the exchanging of experience. This will involve the development of new policies, debates on successes and best practices and ideas on sustainable energy in EU Member States and the Eastern Partner countries.